You’ll know the name Micha Acher from his bands The Notwist and Tied & Tickled Trio. This Alien Ensemble sees him hook up with some old friends, including a couple of colleagues from The Notwist. There’s nothing electronic here though. The instrumentation consists of double bass, drums, vibraphone, trumpet, saxophone, trombone. It’s the sound of jazz alright but the key is the word ensemble, a wonderfully sympathetic band ambience, miles away from that awful “series of soloists” you sometimes get in the so-called upper reaches of the genre. It’s satisfyingly democratic, everyone working in service to the tune, not just holding a spotlight on the leader. I particularly love the brass and reed build towards the end here, accompanied by a busying flurry of high hat. Tasty, groovy and unassuming – three good things on a plate. A completely gorgeous reflection on the ending of love. Michaelson’s voice first. It’s so low it seems like it’s about to fall off the end of the register, on the verge of cracking apart any second. Then the sumptuous arrangement. Keening cello, weeping pedal steel, subdued clean electric guitar, pitter-patter brushed drums. It’s the orthopedic mattress memory foam of musical beds to wallow in and ranks up there with Lambchop in terms of musical chemistry made in heaven. 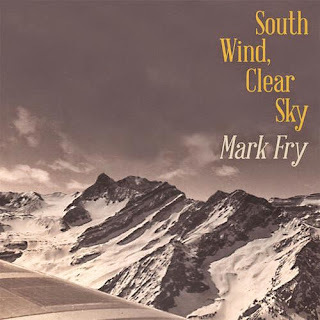 I found it hard to get past this opening song on Fry’s new album, a welcome return from the veteran folk artist who has been pursuing a career as a painter when not playing music. With those wonderful cello drones and flurries of fingerpicked acoustic guitar, allied with a pastoral, dreamlike atmosphere, it plays like a companion to the Bert Jansch song ‘The black swan’, itself a modern classic. Where Jansch was describing a vaguely sci-fi future, Fry seems to be dreaming of a re-imagined, idyllic present. You listen to this and find yourself drifting on a stratospheric current just like the silver bird in the song. It’s uplifting and quite beautiful. 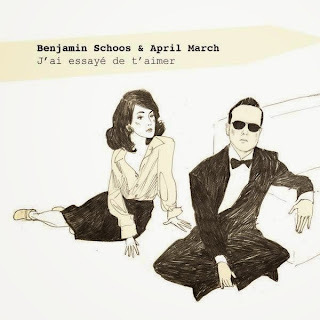 Sumptuous, string-laden pop gem from the Freaksville label founder Benjamin Schoos with the help of his accomplice April March, which summons the spirit of Serge & Jane as well as the sweep of Stereolab. There’s a great bittersweet quality to the lyric obviously – “I tried to love you” bringing to mind Gainsbourg’s break-up classic ‘Je suis venu te dire que je m’en vais” (“I’ve come to tell you that I’m going”) – but it’s the marvellous arrangement that carries off the tune via a series of stirring contrasts. The voices – March floating among the clouds, Schoos occupying a much earthier place – the soaring string parts against the bouncing backbeat, the smoothness of the synths against the bass pulses. It all amounts to a marvellous, timeless piece of work and another Freaksville treasure. We opened this week's show with Dublin group Seti The First who play Cork this weekend as part of Cork Film Festival (apologies for the glitch during this piece, and premature ending). Their second album is on the way soon, I can't wait. As film is in the air this week, we also had some classic Henry Mancini, plus equally classic lyrics by Johnny Mercer. Lambchop play their album Nixon at Dublin's National Concert Hall next February, any excuse to play the wonderful 'Up with people' from that album. East River Pipe are labelmates of The 'Chop, kindred spirits too, as is Ariel Pink I would say, even though musically not obviously related. All three are examples of truly great modern American songwriters. Jessica Pratt making a simple folk song sound like the first time it's ever been sung on earth. The slow burn of the new José Gonzalez single. The masterful twist and bend of Caribou, the (off)beat and throb of Wildbirds & Peacedrums. I had the huge pleasure of seeing Future Islands play live in Dublin last weekend - they finished their show with the fantastic 'Tin man', I've started mine with it. Sleaford Mods too, touring Ireland next month, and putting some vicious vim and bounce back into protest songs. The Go Betweens sounding sunny and carefree from 1979. Fellow Aussies Twerps sounding similarly endearing. 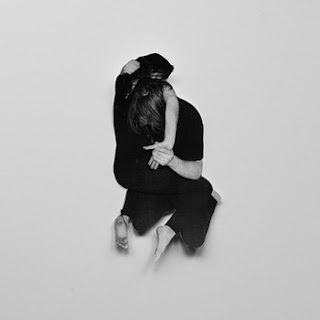 Another ghostly, late-night folk creation from Kemper Norton and Chloe March with glorious dream pop, perhaps with a debt to Ryuichi Sakamoto. Mid-section of the show, three crooners of the highest order; Liam Hayes (Plush), back with a new album in January, Rumer with a voice like velvet and Harry Nilsson making desire and longing sound absolutely gut-wrenching. Plus Merchandise, bringing a wonderful white soul vocal to slinky rock guitar songs.